Bill Wilkinson was a strong, massive man. Where he managed the village bakery. His huge mixing bowl held a whole sack of flour. 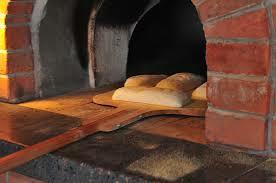 He’d a bin made of wood to prove the warm dough in. Scones cooked first, then the bread, then cakes as it cooled – very neat! This put flecks of ash in the crust, which was nice. Then onto the bricks, where a holly-sprig added some spice. That birch ash was tastier to me than cakes! and dripping from his arms and his chin. was William Wilkinson. The oven has been demolished but the house is still there.